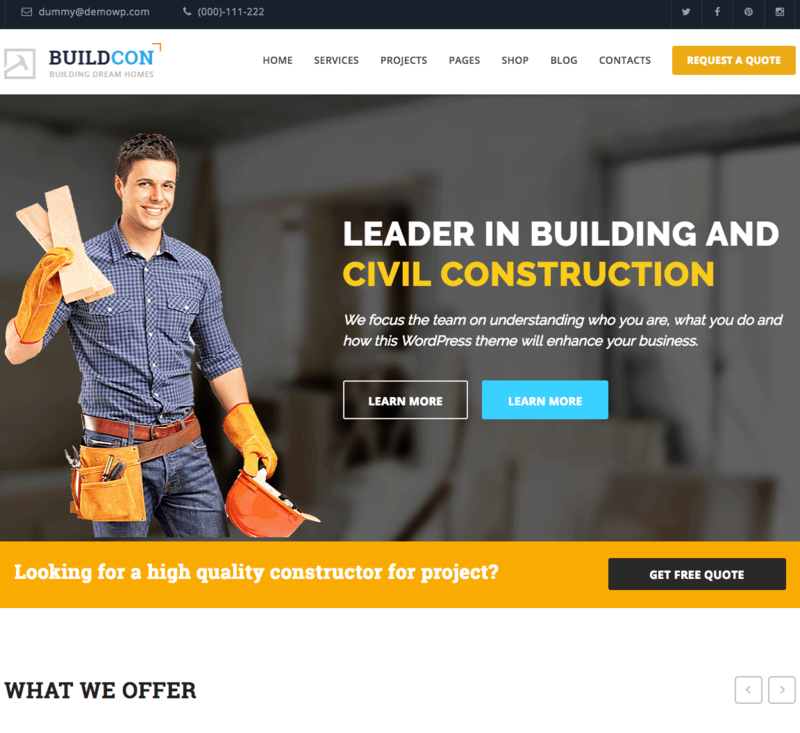 Setup your business website with Buildcon WordPress theme and let a smart and professional online presence do the talking for your construction and renovation business. Bold and catchy colors, an uncluttered layout and ease of navigation are only some of the benefits that you will enjoy with this theme. As every business is unique, we have a stunning variety of 5 home page variations, various color theme choices and more customization choices to help you create the perfect look and feel you desire for yours. Access all this and more without having to write a single line of code. Simply install the theme and set your website up in a matter of minutes with suitable drag and drop components in the Visual Composer. The Buildcon theme is powered by Bootstrap technology, which allows your customers to access all information easily on any computer or handheld device. Install the live demo of this theme to explore its features prior to purchase. Furthermore, our dedicated and efficient customer service will assist you with any concerns or queries you may have. The extensive documentation of the product helps you set up and use your website, even if you are a novice.